Everton Blender, also known as Bubbaru, is a traditional, roots reggae artist, songwriter, composer and producer. Blender’s says that his spirituality and consciousness comes from his relationship with Jah who inspires him. Over the last 30 years, Blender has released a series of hit singles and albums that have become some of the most loved roots reggae anthems of all time. Blender is the sole writer of the majority of the lyrics on his albums. A prolific writer, his thoughts and messages are the outcome of a deliberate meditative process that is a search for the truth to questions about life. Blender says that he meditates “and a vibe just come to us…” Blender has also demonstrated his talent as a producer through the various projects released under his record label, Blendem. Blender was born Everton Dennis Williams into a family of singers in Clarendon, Jamaica, on November 21st, 1956. His aunts were well known in Clarendon as great singers, especially his Aunt Rhona who enraptured the church congregation with her captivating voice. Her voice was so soulful and melodic that Blender recalls feeling goose bumps whenever he heard her sing. He also has been told that he his related to other well-known artists such as Freddie McGregor and Denroy Morgan. Blender himself was recognized early as a budding singer. He sang regularly in school concerts and was encouraged by a teacher, Ms. Myrtle, who suggested that he should take music lessons. He left his community in the early 1970s and moved to Kingston to work as a painter and carpenter. His breakthrough into the music business came when he took part in an amateur talent contest held at the Bohemia Club in Kingston and sung the songs of his mentor Dennis Brown. He did not win the contest the first time, but he persevered and on his second attempt, he won, solidifying his confidence to continue to sing. In 1980, he met Phyllis, the woman who would become his wife, and returned to his birthplace start his family. He now has 4 children and a granddaughter. Isha is following in her father’s footsteps and is a singer. Aisha plays the bass, Chisimo plays the keyboard, and Everton Jr. is practicing his drumming. Watch the Blenders demonstrate their talents for years to come. In Kingston, Everton Blender hung around with the popular “sound systems” at the time, singing whenever he had the opportunity as he had a strong belief that his voice and his lyrics was what the world needed to hear. He recorded and performed with sound systems like Conquering Lion, Destiny Outernational, Master Voice and Santex, as well as with other local producers and artists. Blender released several singles between 1979 and 1985, and performed throughout Jamaica, opening for and being billed with various artists such as Luciano and the late Garnet Silk. Silk was very popular at that time, singing his brand of conscious reggae tunes. Blender’s opportunity came about as a result of working with him. After opening a show for him, Silk introduced Blender to his producer Richard Bell, who soon after signed Blender to his Star Trail label. 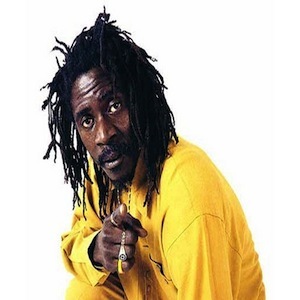 They recorded an autobiographical song called “Create a Sound,” in which Blender described his experiences in the music business and with the Rastafarian faith. The song was released in 1992 and became Blender’s first hit. It became the trajectory that catapulted him onto the international stage, bringing him fame and recognition. Throughout the rest of that decade, Blender’s conscious lyrics and danceable riddims caused him to be recognized as an outstanding cultural reggae singer along the likes of Silk and Luciano. He also collaborated on albums such as Ritchie Spice’s debut album and Spanner Banner’s release, Real Love. Everton Blender has traveled to the four corners of the world delivering his brand of roots Reggae. He has continued to tour since his last album on the strength of his many hits. He plans to continue to write, record and produce the quality and inspiring lyrics for which he is renowned.